The American Association for Pediatric Ophthalmology and Strabismus (AAPOS) describes glaucoma as a group of diseases characterized by damage to the optic nerve that often occurs when the eye pressure is too high. This causes optic nerve damage and can result in severe vision loss. People think of glaucoma as an older adult's disease, but even newborn babies can have it. Infants and children with glaucoma typically have different signs and symptoms than adults. With early detection and prompt, appropriate treatment, many children with glaucoma can have good vision, even normal or near normal vision (good enough to care for themselves, read, or even drive a car). Sadly, if not treated promptly or appropriately, or if the child’s condition is very complex, significant vision loss and blindness can occur. Effective treatment requires specialized care, and finding a pediatric glaucoma doctor often requires travel to a distant eye care center. Management of childhood glaucoma often requires multiple procedures and examinations under anesthesia. Lifelong follow-up care is vital. Parents share a major responsibility in the daily management of their child’s glaucoma and having a child with glaucoma affects the family in many ways. The best chance for optimal outcomes in childhood glaucoma is if families, doctors, teachers, vision specialists, etc. – the whole “team” of providers – work together toward a brighter future for children with glaucoma. 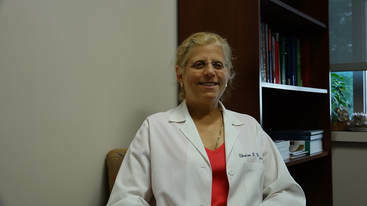 – Sharon Freedman, a pediatric glaucoma specialist, Co-Chair of the 2013 WGA Consensus on Childhood Glaucoma, and 2013-2014 President of the American Association for Pediatric Ophthalmology and Strabismus.